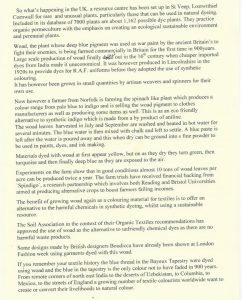 One of my products is naturally dyed embroidery yarns but I also undertake commissions usually for historical reconstruction. 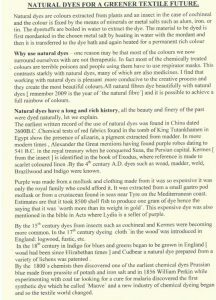 Natural dyes made chiefly from plants as used until the 19th century, as they produce attractive harmonious shades and have good fastness characteristics. 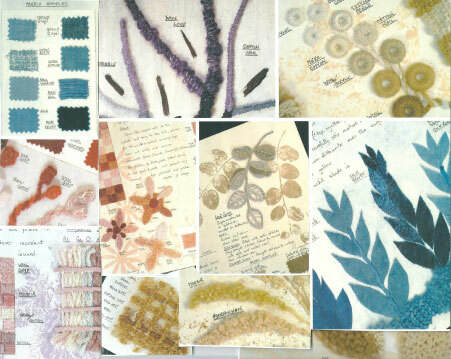 These dyes from plants and other natural materials have been used for over 5000 years. I use Indigo and Woad for blues. Madder , Cochineal , Logwood and Brazilwood for pinks, reds, oranges, and purples. Weld and Fustic chips for yellows. Oak bark, Onion skins and Crutch for browns. Oak galls and Walnut husks for greys and blacks. 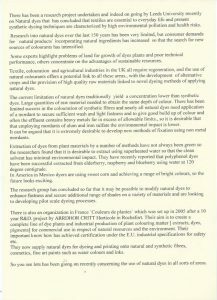 As each batch is individually dyed , customers are advised to but sufficient for their projects. 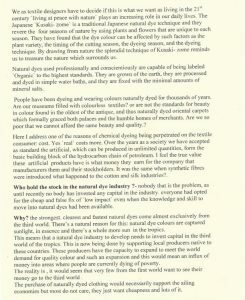 The dyeing process involves first washing the hanks of wool and then mordanting them usually in lots of 500 to 1000 grams. 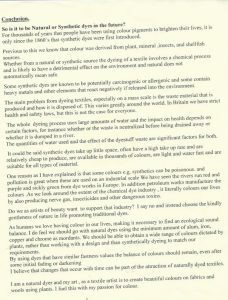 Most but not all dyes will need a mordant such as alum to enable the plant dye to adhere to the yarn. 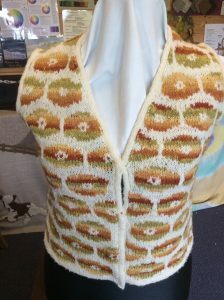 The yarn is then dyed by immersion in the prepared liquor and then washed again and dried. Conservation work at Jorvik Viking Museum, York Minister, National Maritine Museum, National Trust and of course embroiderers doing their own projects. 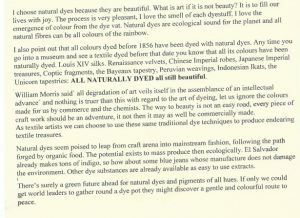 For more detail see my article on Natural Dyeing at www.textilearts.net/tutors along with others on Creative Textile Art.